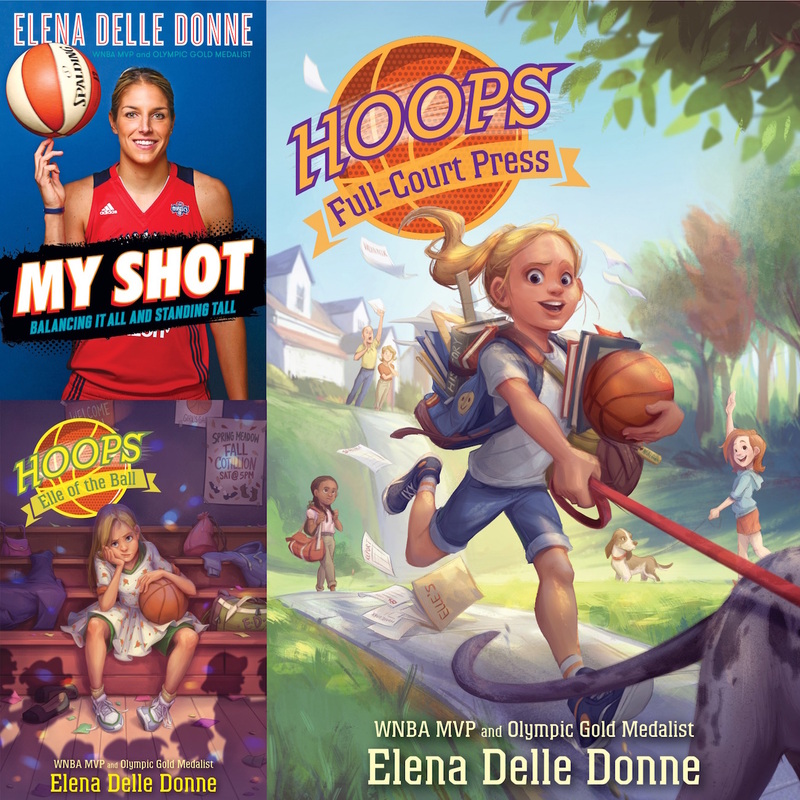 Elena Delle Donne, the 2015 WNBA MVP and an Olympic gold medalist, is also an author. Her first novel, Elle of the Ball, which came out earlier this year, is about a young girl, Elle, who struggles with fitting in while being the tallest kid in her class. The one place she feels she fits in is on the basketball court, but when her coach changes her position because of her height, she feels that even on the court she is judged based on her size. There is also a school dance coming up, and Elle knows she must put on a fancy dress and dance with a boy who will be much shorter than she is. The second book in Delle Donne’s series, Full-Court Press, is out June 12, and the third will be out in October. This year she also released an autobiography called My Shot, which is about her life in basketball and overcoming obstacles such as pressure, a burnout, and Lyme disease. 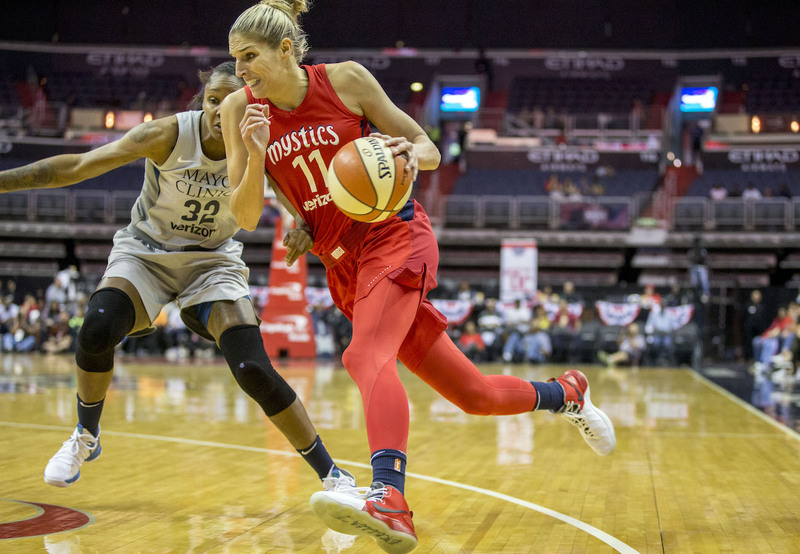 Delle Donne, a forward-guard with the Washington Mystics, took some time to answer questions from SI Kids as the WNBA season got underway. I know that I’ve had a unique journey to where I am today. When writing this memoir, I wanted to share my story in the hope that it can inspire boys and girls as they’re thinking about their futures. I have always forged my own path, and I want people to feel empowered to do the same. And you also have a novel out. How did you decide to write Elle of the Ball? I decided to write Elle of the Ball, which is part of a series of books called Hoops, because of some of the challenges I faced growing up. I hope Elle’s journey can inspire those who face similar issues I did. You became burned out from playing basketball and wrote about losing your passion for the game. What do you think was the most important factor in you regaining that passion? And what advice would you give kids today who are seriously focused on one sport? I just needed some time away from the game to remember why I loved basketball at the beginning. My family was an amazing support group for me during this time, encouraging me to pursue whatever made me happiest. For kids focused on one sport, remember to always make time for other activities, whether that’s another sport or hobby, so that you don’t get burned out, because it can happen fast. By doing other sports, you pick up different skill sets that you can apply to your main sport that will set you apart from other athletes. Your sister, Lizzie, who has cerebral palsy and autism, has played a very important role in your life, including in decisions you have made about school and your career. How has she shaped your view of the world? My sister motivates me every day. Performing simple day-to-day tasks can be extremely difficult for her, and she still manages get through her day with a smile. If I even have half the strength Lizzie has, then there’s absolutely nothing I can’t get through. She inspires me to give back to a community that gives so much to me. My work with the Special Olympics is a reflection of that, and Lizzie reminds me every day what’s worth fighting for. Who was your favorite basketball player as a kid? There are many players who inspired me growing up. From the WNBA, I enjoyed watching players like Lisa Leslie and Sheryl Swoopes, who are still inspirations to me. Their style of play and hustle inspires my game today. 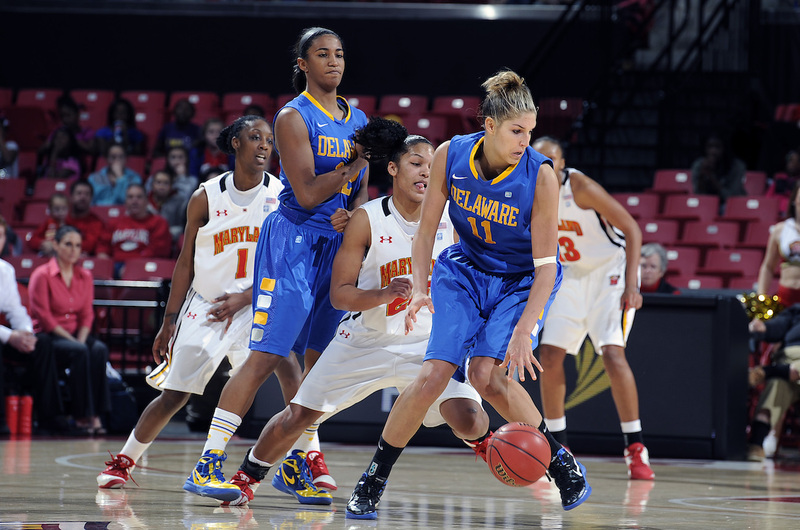 What is your favorite memory from your time playing with University of Delaware? My favorite memory from college ball was winning my last game on our home court at the Bob, the arena we played in, and going to the Sweet 16. Tell me what you were up to over the offseason. Offseason is when I train the hardest, so I was ready for the season to start! I spent a lot of time sharing my books with the world, which was really fun, especially visiting schools. I took a trip to Disney with my family, a vacation I look forward to every year. In February, I went to L.A. for the NBA All-Star Game and participated in the NBA Cares Special Olympics Unified Sports Basketball Game. Outside of that, I enjoyed spending time with my wife and our two dogs. What is your focus right now regarding your charitable work? I have my own nonprofit, the Elena Delle Donne Charitable Foundation, that raises money and awareness of Lyme disease research and special needs programs. I am an ambassador for Special Olympics and support their programs throughout the year. All of my basketball camps are unified, which means I have special needs athletes participate alongside other athletes. It’s a really special experience. What will the next book in your Hoops series be about? In Full-Court Press, Elle starts taking on more after-school activities and has new responsibilities, basketball obligations, and lots of schoolwork. Things become a bit hectic, and she has to learn how to manage her time.